The man who, above all others, is universally regarded as the most highly skilled ornamental penman that ever lived, Louis Madarasz, was born in San Antonio, Texas on January 20, 1859. He obtained a copy of Gaskell's Compendium of Penmanship when he was in his teens. 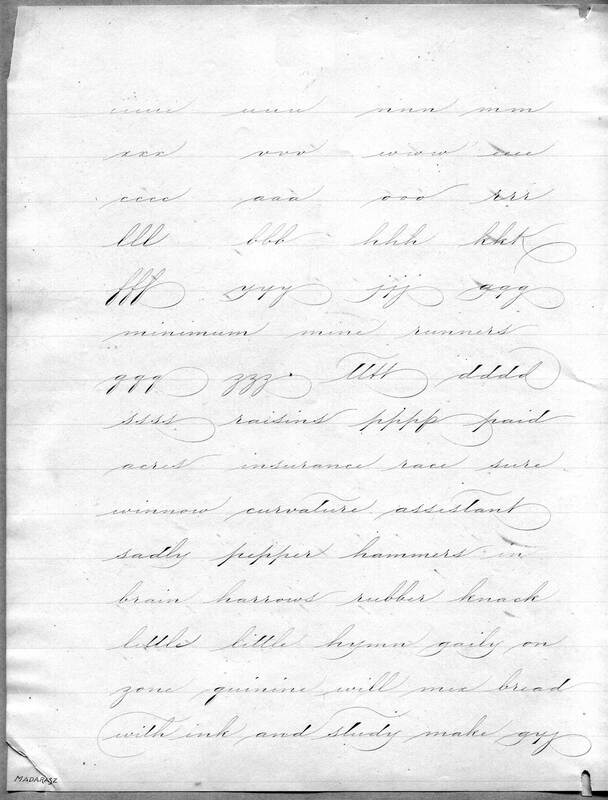 Studying the text by himself, he achieved a degree of skill in ornamental writing that was remarkable for one so young. 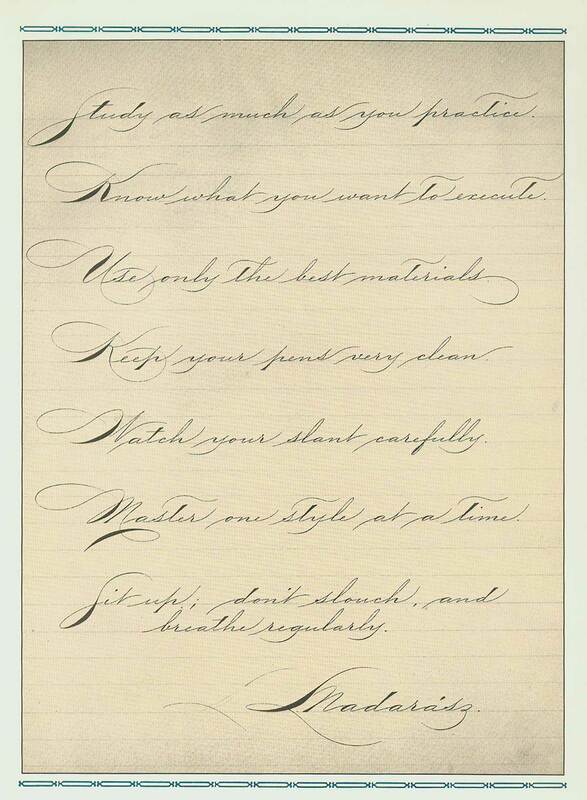 Such self-discipline and persistence were instrumental in Madarasz's desire to master the art of penmanship. In the late 1870's he enrolled as a student at the Rochester Business University in Rochester, New York. While attending this institution, his facility with the pen earned him a reputation throughout the state. 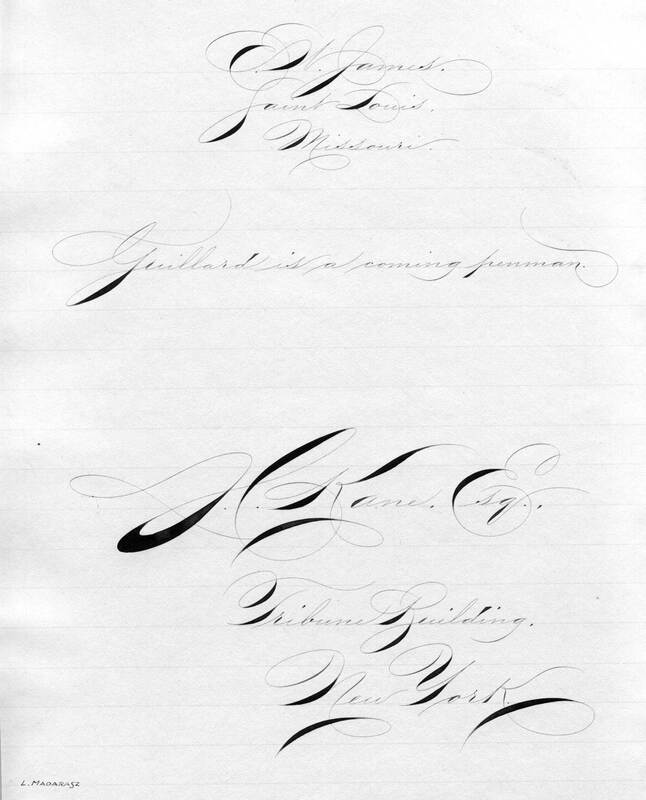 During the years that followed, Madarasz took on penmanship positions at a number of institutions. His wanderings eventually led him to Manchester, New Hampshire the location of Gaskell's penmanship school. 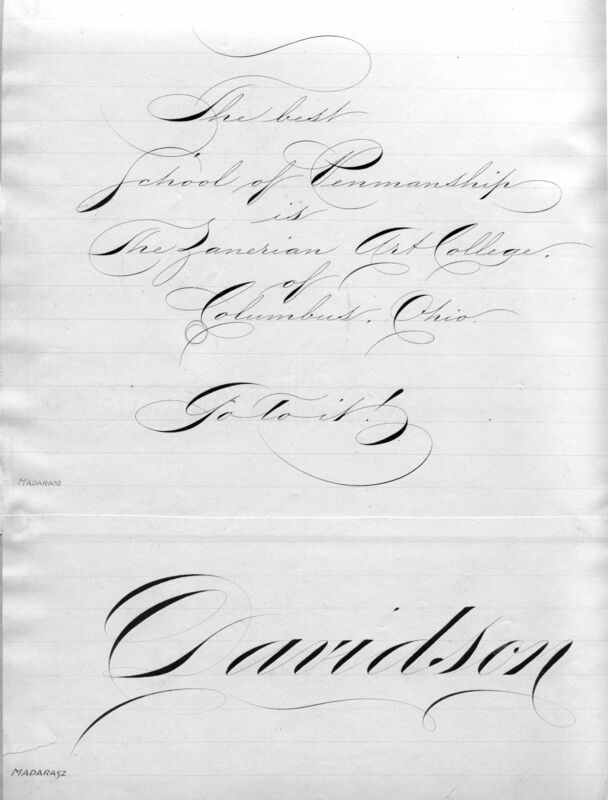 Besides being an accomplished master penman, Gaskell was also a businessman who recognized advertising opportunities. 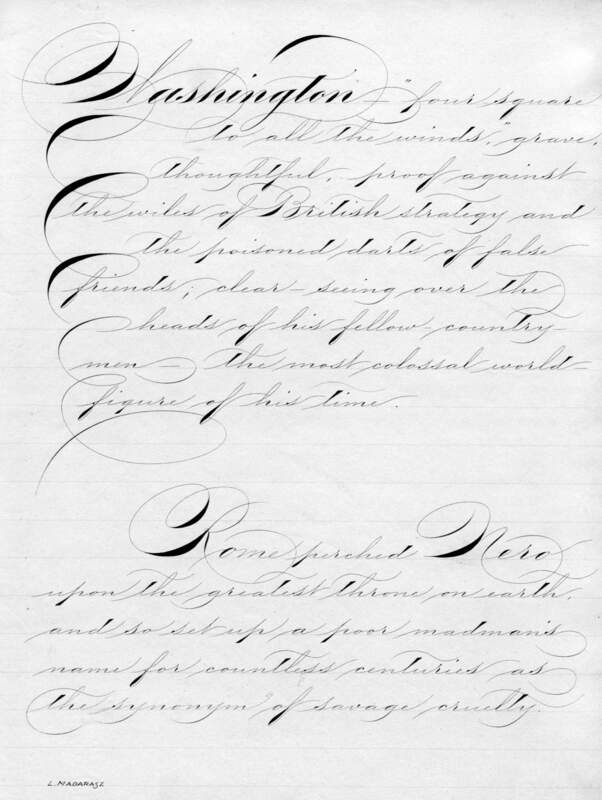 Madarasz, whose fame as a penman was fairly widespread by this time, also recognized the opportunity to further his own skills by being associated with Gaskell. It was a good association for both men, and soon the famous signature of Madarasz appeared on the advertisements for Gaskell's Compendium. Madarasz stayed with Gaskell for several years, learning much about advertising and the business of mail order.